Numerous studies have demonstrated the health benefits of music: it can lower blood pressure and heart and respiratory rates; reduce cardiac complications; increase the immune response; and boost our natural opiates. Gaynor shows how, when integrated as part of a mind-body-spirit approach to wellness, music can play a significant part in maintaining a healthy lifestyle or in healing serious disease. 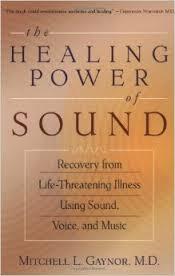 The Healing Power of Sound includes twelve exercises involving breathing, meditation, and "toning"—using pure vocal sound to resolve tension, release emotion, and spur the healing process—that can be used by anyone to improve health and quality of life.